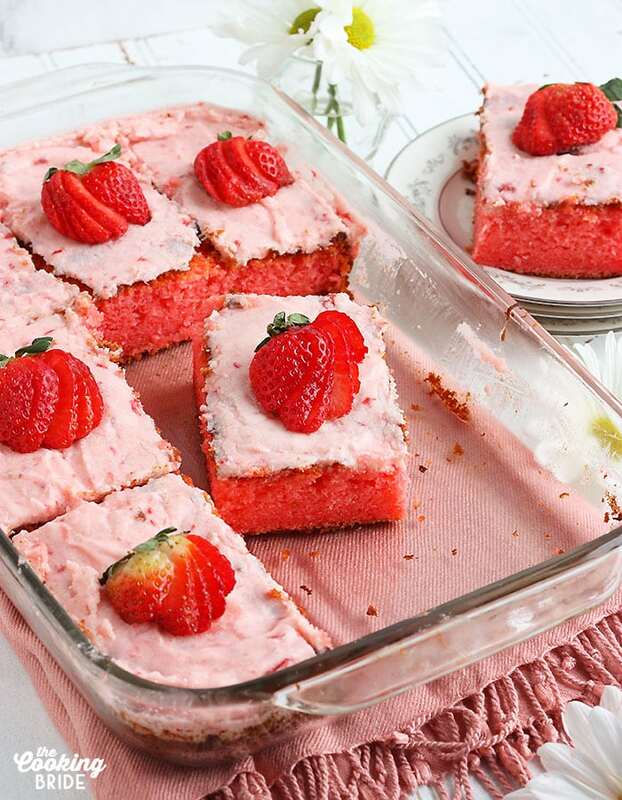 Old fashioned strawberry sheet cake is bursting with strawberry flavor. 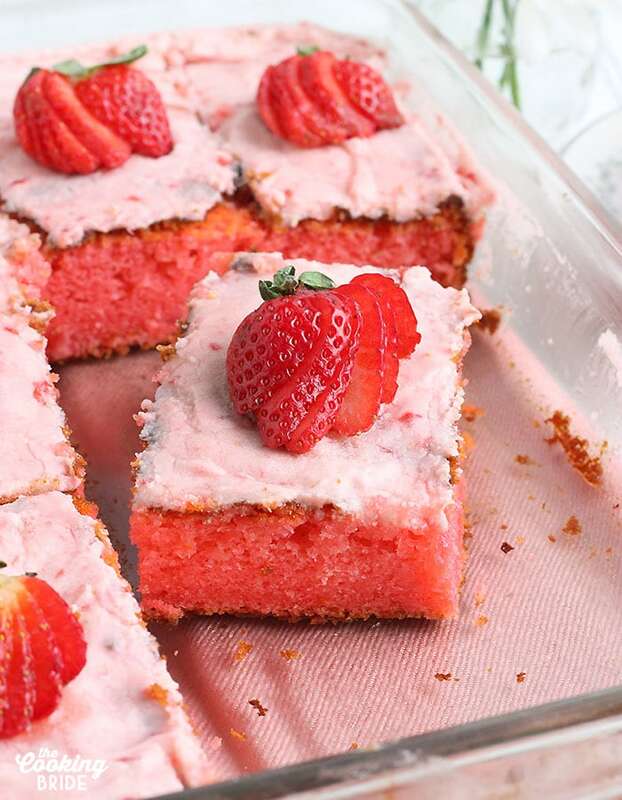 Strawberry jello and fresh strawberry icing creates an explosion of color and taste. Have you ever noticed that our grandmama’s generation loved some Jell-O. Flip through a vintage Betty Crocker cookbook and you’re likely a plethora of gelatin recipes. Not just elaborate molds for every palate (I still can’t stomach the thought of a savory gelatin mold), but baked goods too. 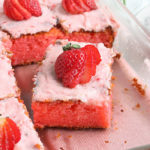 A few weeks back, as I perused one of my favorite vintage cookbooks, my eyes landed on a recipe for strawberry cake make with strawberry gelatin. Not a poke cake mind you, though that is a great idea I might pursue at a later date. Nope, gelatin was mixed right into the cake mix. The problem with old recipes, and old cookbooks for that matter, are that the instructions are vague as hell. I don’t know if that was intentional as women didn’t really want to share their signature recipe with the entire town. Or if it’s because women cooked more from memory than from a cookbook. That being said, I ended up making this cake twice within a 12-hour period because the first one flopped. Dear Ms. Morton from Meridian, Mississippi, the original recipe writer and who I’m sure is a very lovely lady, failed to include several important measurements and instructions with her submission. It was an inconvenience, but not a deterrence. I pressed on, after begrudgingly tossing the original cake in the trash, and grabbed my coat and wallet for a second trip to the store. The second time around, I made some adjustments that I suspected were the reason for my first failure. My hunches were spot on and the result was a moist, spongy cake bursting with strawberry flavor. I made the cake twice so you wouldn’t have to, friends. This cake starts with a boxed white caked mix. I want you to completely ignore the instructions on the back of the box. First, preheat your oven to 350 degrees. Lightly beat four whole eggs until they are pale yellow and you see little bubbles forming on the surface. Next, dissolve one package of strawberry gelatin with ½ cup of hot water. Not boiling water. Hot tap water is fine. We don’t want to scramble our eggs. Add the dissolved gelatin and the cake mix into the bowl along with one cup of vegetable or canola oil. Mix on low just until the cake mix is moist, then increase the speed to medium and beat for two minutes. Pour the batter into a greased 9 x 12 x 2-inch cake pan or Pyrex dish. Bake for 30 minutes until a toothpick inserted near the center of the cake comes out clean. Allow the cake to cool completely before frosting. Before you get started, set out one stick of unsalted butter to soften. This should take about 30 minutes. Once the butter is softened, beat it in an electric mixer for about two minutes until it’s creamy. Add the powdered sugar, one cup at a time. Be sure to set the mixer on low with each incorporation or you’ll get a dusting of powdered sugar to the face (I speak from experience). After the powdered sugar is incorporated, the icing will be quick thick. 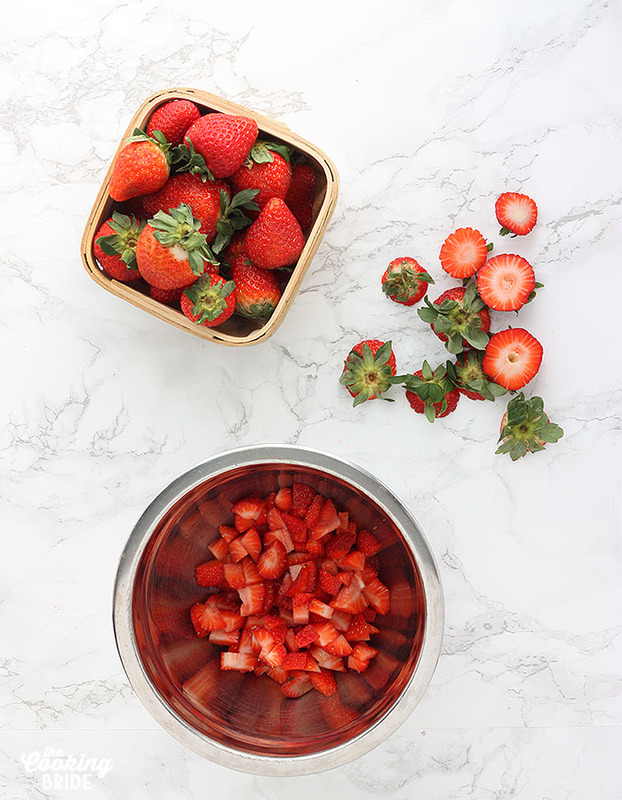 Never fear, we are going to thin it out with ½ teaspoon of vanilla extract and diced fresh strawberries. You can puree the strawberries beforehand if you want. I didn’t because the mixer will break up the strawberries on its own, causing them to release their juice and transforming the icing into a lovely pale pink color with little red flecks of strawberry. If the icing becomes seems too thin, add additional powered sugar one tablespoon at a time. 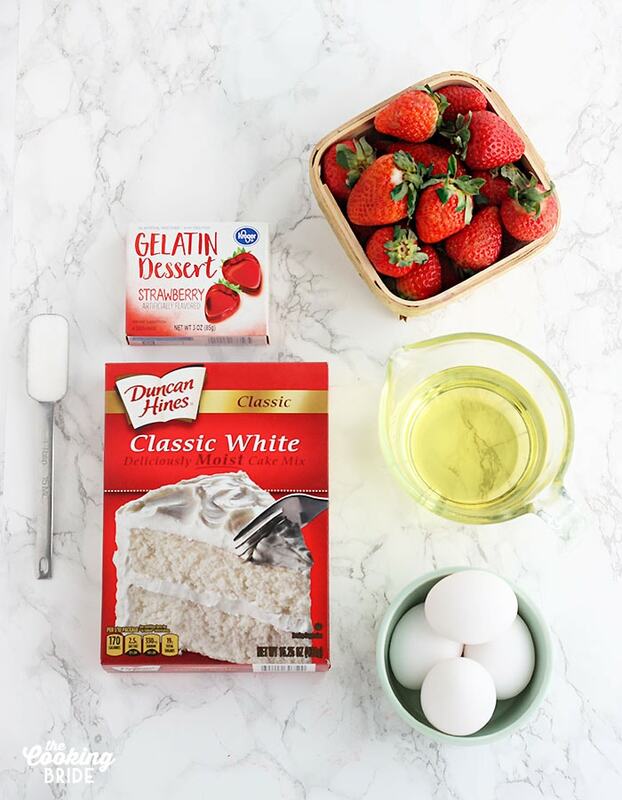 If the icing becomes to thick, add additional diced strawberries or milk, also one tablespoon at a time. Ice the cooled cake immediately. Sprinkle on a few sliced fresh strawberries for a pretty garnish if you want. You can serve the cake immediately from here, but I found the cake benefited from setting up for an hour in the fridge. To store leftover cake, cover the pan with plastic wrap or foil to keep it from drying out and store in the fridge for up to five days. In an electric mixer, lightly beat the eggs. Add the canola oil and cake mix. Dissolve the strawberry gelatin in the hot water. Pour this into the mixing bowl as well. Beat the cake mix on low until everything is just combined. Then turn the mixer up to medium and beat for two minutes. Pour the batter into a greased 9 x 13 x 2 dish. Bake for 30 minutes or until a toothpick inserted near the center of the cake comes out clean. Beat the softened butter on medium speed until smooth. Add one cup of powdered sugar. Mix until it is incorporated into the butter and starts to stiffen up. Add one tablespoon of the diced strawberries. Mix until the frosting stiffens up again. Repeat with one cup of powdered sugar and another tablespoon of diced strawberries until all have been added. Add the vanilla extract. Stir until frosting is smooth and spreadable. 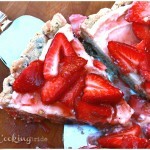 If the frosting is too thick, add a little milk or any leftover diced strawberries if you have them. If the frosting is too thin, add a little more powdered sugar. I am loving the color of this sheet cake! It would be so perfect for Valentine’s Day! I love how you used the box cake mix as a short cut. Such a good idea! 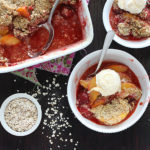 This dessert comes together easily especially when you are having unexpected guests. The color makes it perfect for Valentine’s day. I can relate to Jello recipes from the older generation. My mom still makes my dad’s favorite-lime jello with pineapple and cottage cheese 🙂 This looks SO yummy! 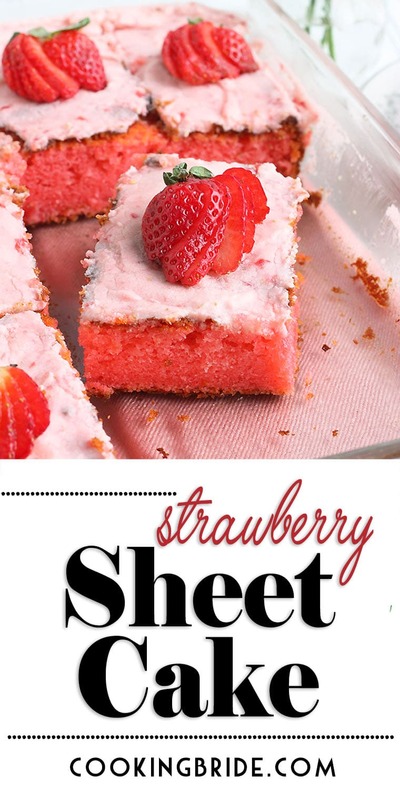 Chocolate Sheet Cake is one of my all-time favorites, but I’ve never tried a Strawberry Sheet Cake-I’d love to make a gluten free version. Yum! What a perfect cake to make for Valentines! My grandkids would love this – especially that fabulous color!!! What an amazing colour. I absolutely love it! This will be perfect for upcoming Valentine’s Day. I’m making this for sure for my hubby.